Gem-Bond® is the best fabric glue, best glue for glass and best metal glue. It is comparable to e6000 but better in strength and emits less fumes . It is perfect for all your craft needs especially to attach EIMASS, Swarovski and Preciosa crystals. 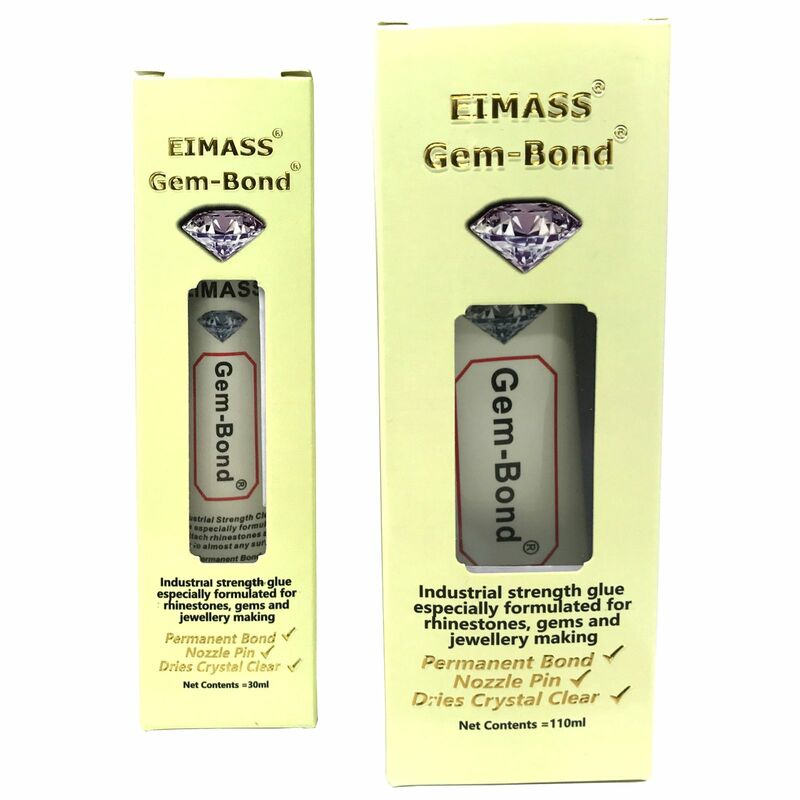 Gem-Bond has exceptional adhesion to glass, metal, fibre glass, ceramics, masonry, concrete, leather, rubber, vinyl and many plastics. 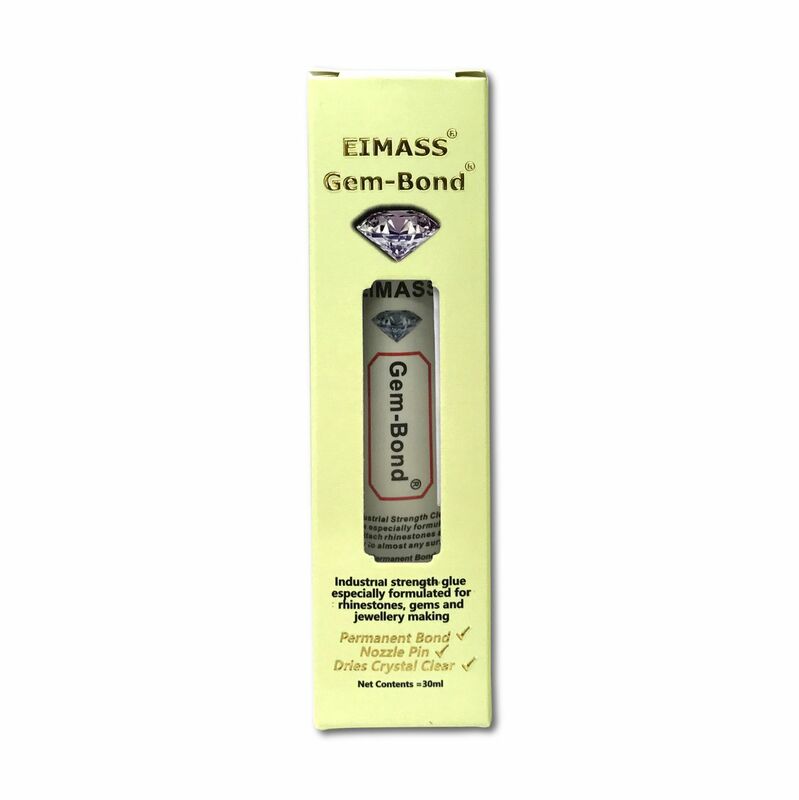 Gem-Bond has particularly less fumes compared with similar rhinestone glues available in the market. World's no, 1 clear glue adhesive for all the craft needs. Multi purpose, non flammable, water proof, flexible and paintable adhesive. Pin nozzle is great for accuracy, cleanliness and presentation. This product has generated outstanding positive feedback. 1. Please read all directions before using. 2. Surface should be clean, dry and free of dirt. 3. Best to use at room temperature. 4. Cure time increases with lower temperatures. For maximum-strength bond, allow 24-72 hours dry time. 5. For joining non-porous surfaces, apply a thin coat to each surface. Wait 2-10 minutes and press together. • Seal cracks in concrete and cinder block walls. • Seal & repair conveyor belts. • Coat & protect boots & gloves.